Some of these plugins can also be integrated with event management plugins, giving you access to more features for promoting and managing the events you’re selling tickets for. Furthermore, you can use some of these ticket plugins alongside popular ecommerce plugins like WooCommerce and Easy Digital Downloads to increase your options for managing ticket sales. So to help you start selling tickets directly from your website, here’s our guide to the best WordPress ticket plugins. This is a paid add-on from the WooCommerce team for selling tickets on your WordPress website. Harnessing the power of the core WooCommerce plugin, Box Office can be used for selling tickets in a number of different ways. In fact, the Box Office add-on has been tried and tested by the WooCommerce team when selling tickets for their annual WooConf event. One of the benefits of using a plugin like WooCommerce Box Office, compared to integrating your WordPress website with a third-party service, is the ability to keep visitors on your site, rather than sending them somewhere else to complete the transaction. Thanks to this, you get access to all the data that your customers provide while offering them a smooth user experience. Create multiple events and sell tickets for those events directly on your site. Create unlimited ticket types, each with their own pricing and other properties. Set limits for maximum ticket sales. Offer discount codes for tickets. Events Tickets is a freemium WordPress plugin for selling tickets directly from your website. Created by the same team who produced the popular Events Calendar plugin, Event Tickets can be used on its own or alongside Event Calendar to cover all your event management and ticketing needs. The free version of Event Tickets provides very basic functionality, making it a good choice for anyone who simply wants to list tickets on their site. But if you want to actually sell tickets, plus unlock all the other useful features, you will need to upgrade to Event Tickets Plus and install either the WooCommerce or Easy Digital Downloads ecommerce plugins as well. Free version available with basic features as well as a feature-rich paid option. Integrates with the event management plugin from the same company. Works with both WooCommerce or Easy Digital Downloads to handle ticket sales. Android and iOS apps for offering mobile tickets. Generate QR codes for ticket scanning verification. Price: free with paid version starting at $89. My Tickets is another freemium plugin for selling tickets from your WordPress website. Unlike Event Tickets, the free version of My Ticket does give you the ability to actually sell tickets from your site. However, the paid My Tickets add-ons give you more options for how you go about collecting those payments. Another nice feature of the free version of My Tickets is the ability to generate QR codes so that you can scan printed tickets or e-tickets as your guests arrive. You can also run reports from inside your WordPress dashboard to find out more about your tickets sales. The free version can be used to sell tickets online. Paid add-ons unlock more options for accepting payments, including Stripe support. Can be integrated with the freemium My Calendar plugin for event management features. Generate QR codes for verifying printed or e-tickets. Price: free with paid add-ons available. Event Espresso is a well-established WordPress plugin for selling tickets online. As Event Espresso is a paid plugin, it’s packed with features from the outset, although there’s still the option of purchasing add-ons to unlock even more functionality. However, saying that, there is the limited Event Espresso Decaf plugin that you can download for free. But if you’re looking for the most feature-rich ticketing plugin for WordPress, Event Espresso and its 60+ add-ons could be the best option. To help you create an experience that’s as user-friendly as possible, a variety of payment methods are supported, giving your visitors lots of options for making a purchase. You can also give your visitors the ability to easily register multiple guests at once who all want tickets. Creating custom registration forms is an option too, ensuring you’re able to collect all the data you need from your guests. Multiple payment processors and gateways supported. Ability to generate invoices to request future payments. Create multiple dates and times per event, each with separate tickets. Support for multiple attendee registrations. Generation of QR codes for mobile ticket scanning. Price: from $79.99 with paid add-ons available. Like some of the best options for selling tickets from a WordPress website, Tickera can be enhanced with paid add-ons. However, the core plugin, despite not being free either, still has lots of useful features. For starters, you can create as many ticket templates as needed to quickly generate new tickets for events. All the main payment gateways are supported too, giving you and your guests the freedom to use their preferred payment options. You can also download Android and iOS apps for using mobiles to check in guests and add scannable barcodes to your tickets. Although the Tickera plugin should work with any WordPress theme, if you’re starting a new site then the team have produced some purpose-built ticketing and events themes you might want to consider. Ability to create discount codes for running promotions. The option of adding fees to tickets to generate revenue from sales. Good range of extensions for adding even more features to your site. Can be integrated with WooCommerce as part of your ecommerce website. Price: from $119 with paid add-ons. As you can see, there are some very powerful and professional plugins to help you sell tickets from your WordPress website. Unfortunately, the best and most useful features are reserved for those who are willing to invest in a paid plugin or purchase the premium add-ons. However, if you’re on a budget, My Tickets is the most feature-rich free plugin so check that one out first. When it comes to declaring the overall best WordPress ticket plugin, it really comes down to your needs and your budget. Although these plugins share many common features, they all work in slightly different ways and offer different levels of functionality. So to find the right solution for your website, first establish your requirements, then check out the feature lists and try out the online demos to find the plugin that’s the best match for your needs. 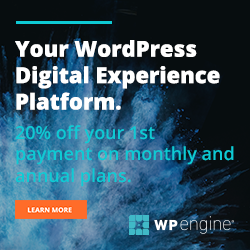 Which plugin will you use to sell tickets with WordPress? Please let us know in the comments below. Good news Joe! Event Tickets (free version) from Modern Tribe does include the ability to sell tickets, not just collect RSVPs. Feel free to hit me up if you have any questions.